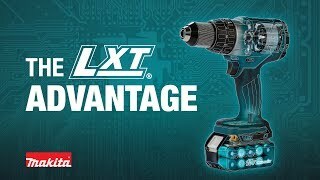 VERSATILITY : 2-Mode operation for "Rotation Only" or "Hammering with Rotation"
The XRH06RB has an efficient Makita BL™ Brushless Motor for up to 50% longer run time, increased power and speed, and longer tool life. It has 2-mode operation for “rotation only” or “hammering with rotation”, with 0-680 RPM, 0-4,800 BPM and .88 ft.lbs. of impact energy for fast and efficient drilling. The compact size and lower weight mean reduced fatigue for operators, especially for overhead applications. Additional features include a vibration-absorbing handle that moves independently of the motor and hammer mechanism for increased operator comfort, as well as a variable speed trigger, built-in L.E.D. lights, and one-touch sliding chuck for easy bit changes. Compact and Ergonomic design at only 10-3/4"
Net Weight (with battery) : 4.6 lbs. Shipping Weight : 9.702 lbs.